After harvesting the spring corn snow that’s still abundant this spring at many resorts around the country, you could just sit back and enjoy a frosty one on the deck. Or, you could kick up your outdoor game a notch with an afternoon bike ride that will make that end-of-day refreshment all the more rewarding. As weather can vary a lot this time of year, be sure to check local road and trail reports to see what’s open. 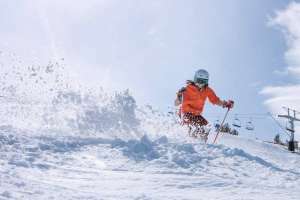 Arapahoe Basin is located on Loveland Pass, and the climb up and over is a classic road bike ride, and the 6th Alley Bar and Grill at A-Basin is a great place to start and finish if you don’t want to crank all the way from Keystone. The dirt roads near A-Basin are perfect for anyone partaking in the “gravel grinding” craze, Araphoe Basin’s Katherine Fuller tells SnoCountry.com. “East of Keystone, if you head up to Montezuma and keep going past town, the main road turns to dirt and offers access to multiple unpaved Forest Service roads good for mountain bikes and gravel bikes.” Fuller says she’s done this as early as late May, but you may encounter snow due to the elevation. 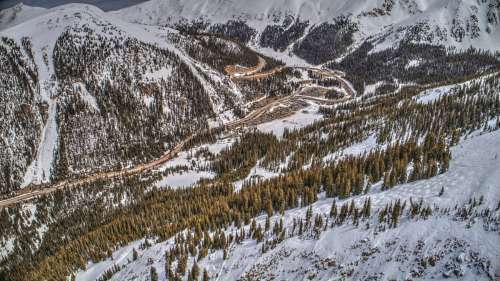 Or, Fuller suggests, after skiing and snowboarding A-Basin, drive down to Keystone and pick up the Snake River Recpath, which connects into the entire Summit County Recpath system, with 55 miles of paved bike that connect Keystone, Dillon, Frisco, Silverthorne and Breckenridge. 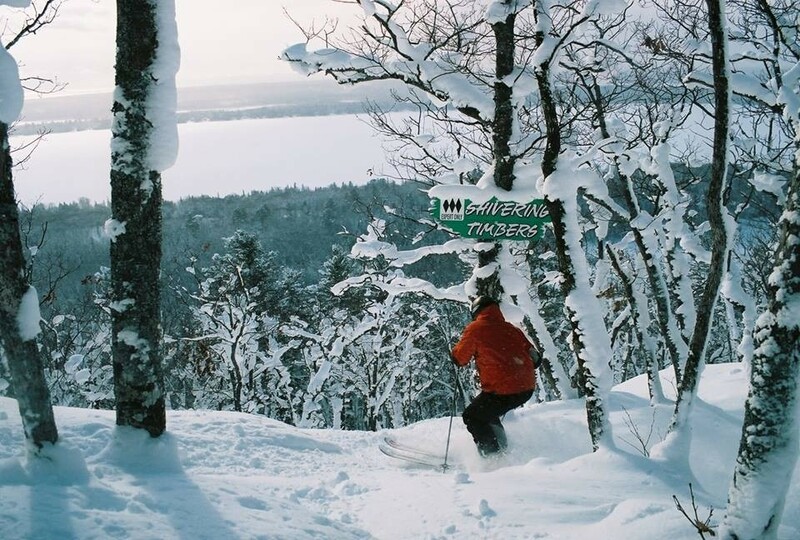 Near Michigan’s Boyne Mountain is the Little Traverse Wheelway that goes along Lake Michigan from Charlevoix through Petoskey up to Harbor Springs. 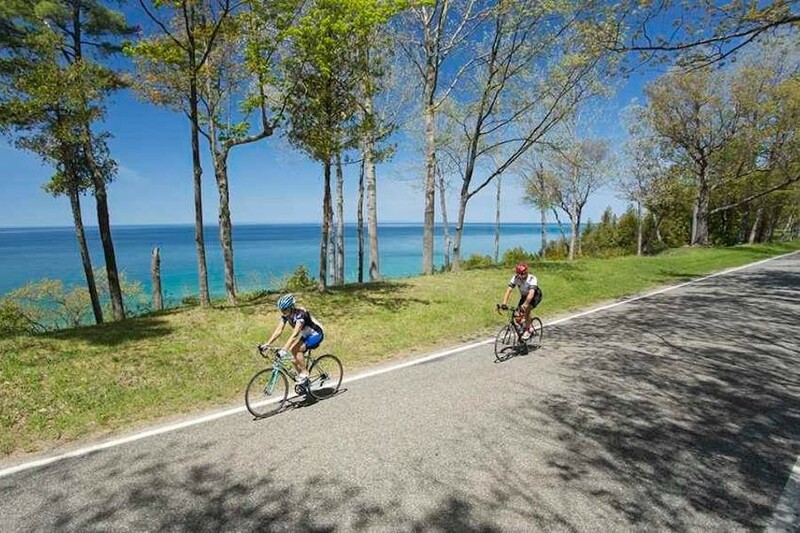 “It's paved, so riding would be good, beautiful views of the lake, and the Mountain isn't far from either Charlevoix or Petoskey,” says SnoCountry Midwest Editor Mike Terrell. 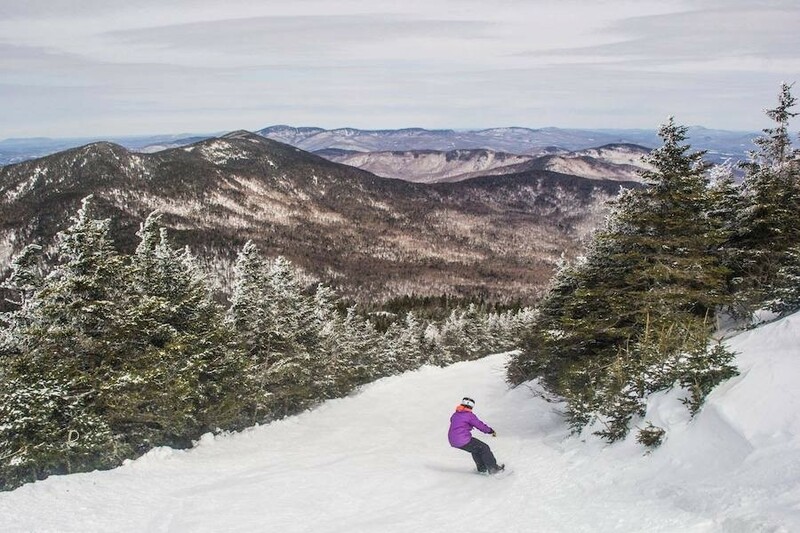 Killington may be open into June, which means there’s plenty of time to enjoy the best of both worlds, with skiing and riding on the Superstar glacier and pedaling the woods and back roads of Vermont. After a morning on the slopes, hit nearby Sherburne trails for 4.5 miles of beginner and intermediate terrain that the kids will want to lap again and again. 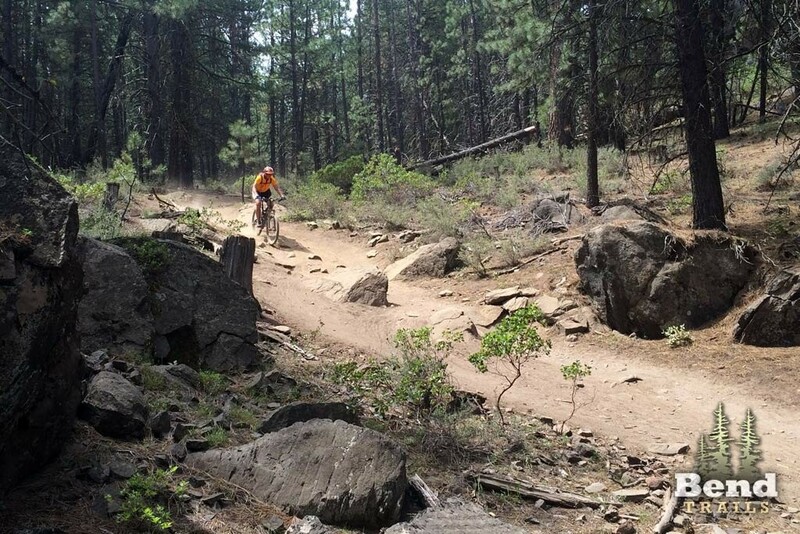 Or drive into Rutland for 16 miles of single track spread over 325 acres of terrain at Pine Hill Park. 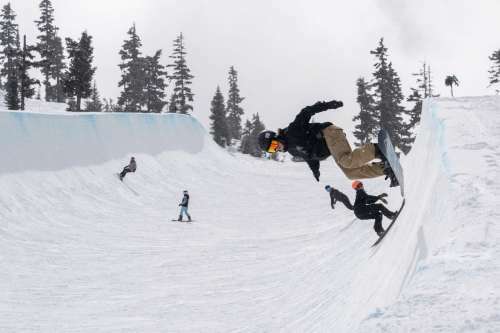 With an epic snow year at Mammoth, there will be awesome spring conditions and shredding through the 4th of July weekend – or maybe even longer. Once the corn snow turns to slush, turn in your boards for wheels on the Mammoth Lakes Trail System. 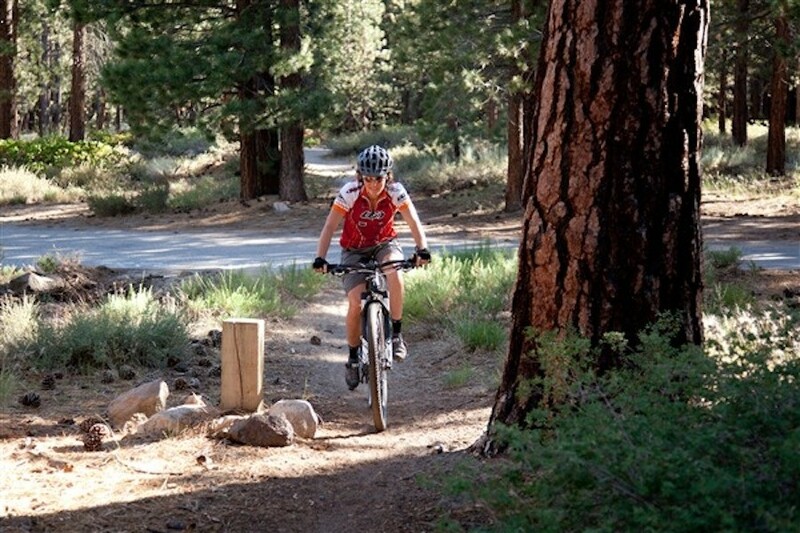 Locals'-favorite Knolls Loop alternates between singletrack, sandy OHV trails and dirt fire roads, climbing through old-growth Jeffrey pine forest into hills and domes formed by volcanic eruptions as recently as 100,000 years ago and affording broad views to the Inyo Craters and back across to the Sherwins. 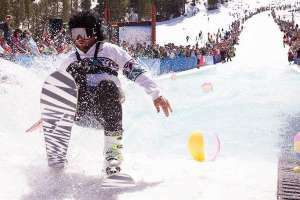 Once again the Spring Challenge between Michigan resorts Boyne Mountain and Mount Bohemia, located in the UP, is on. Which resort will keep the lifts turning longest and skiers and snowboarders on the slopes? 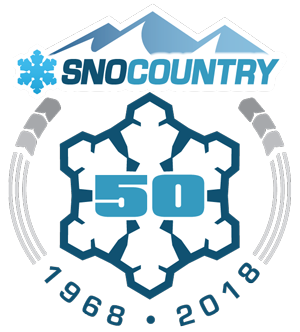 Simple rules are that the ski areas must operate at least one day each week for no less than a minimum of five hours per day open. The losing resort will donate $1,000 to the charity of the winner’s choice, which are Boyne Country Food Pantry for Boyne Mountain and the Copper Humane Society for Mount Bohemia. 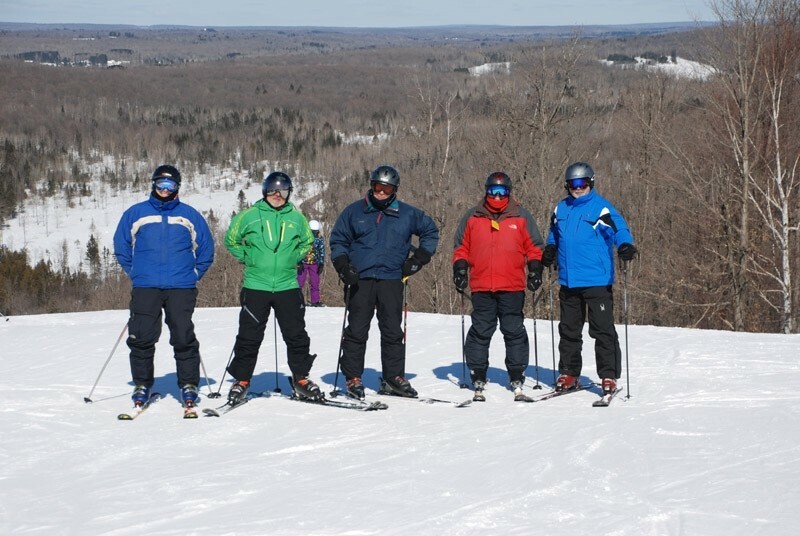 Boyne Mountain won last season’s challenge with its final day of skiing occurring on May 6, 2018. 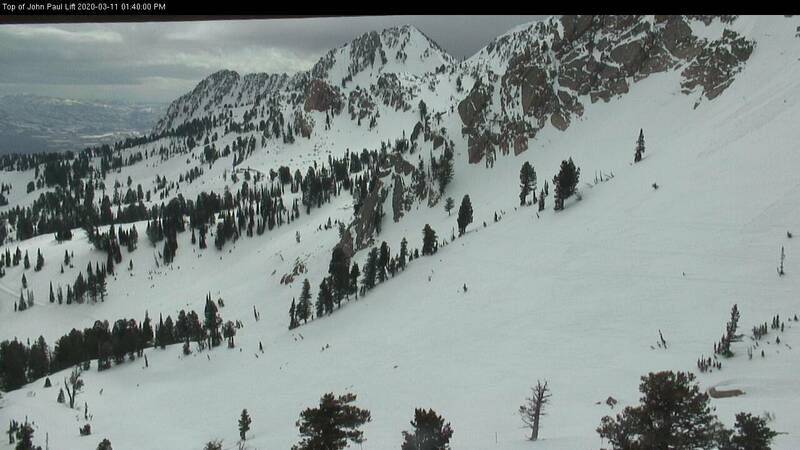 The Mountain is currently operating on weekends, which they plan on doing for as long as the snow holds out. The same goes for Bohemia.  I’m not sure why Ski Brule also doesn’t get in on the competition. 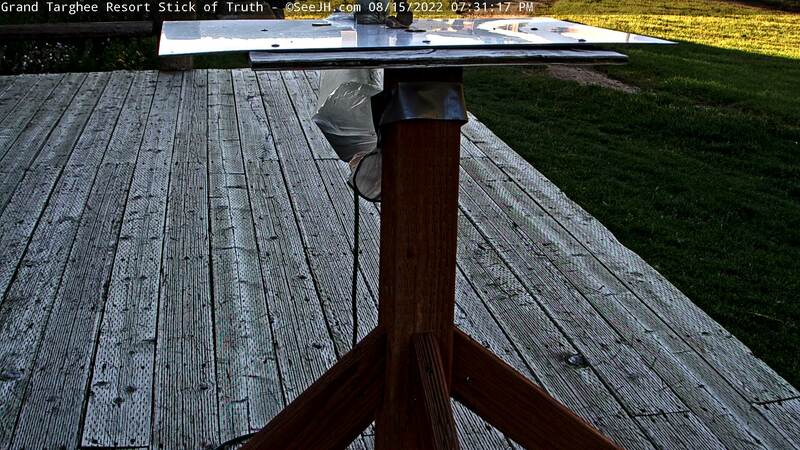 They are currently staying open weekends through April, and maybe beyond. All three resorts are located in the Wolverine State. 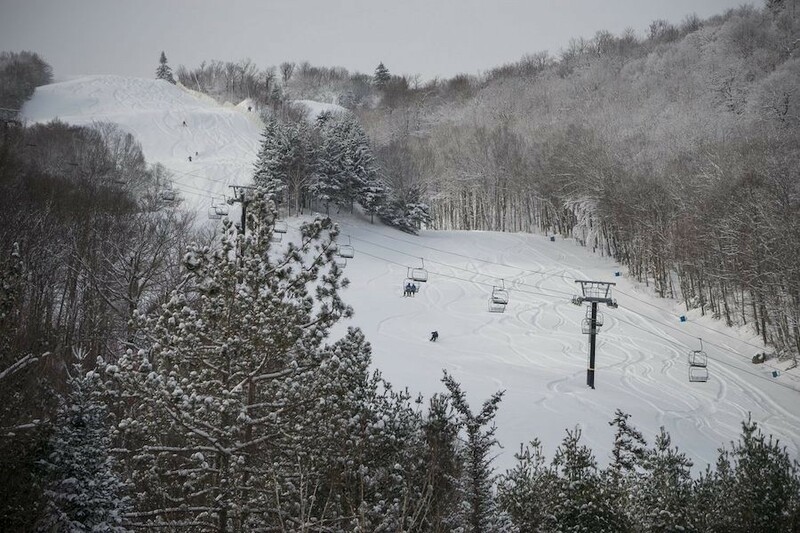 One other Midwest resort that skied into May last season and routinely stays open weekends through April is Lutsen Mountains, and they are currently planning on the same scenario this year. 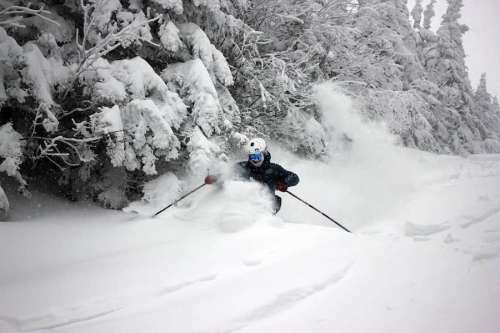 As of last weekend they were still skiing on all four mountains with 60 runs open and a 20-to-40-inch base. They are currently offering extended weekend packages from $112 per person that includes two days lift and lodging good through May 4. 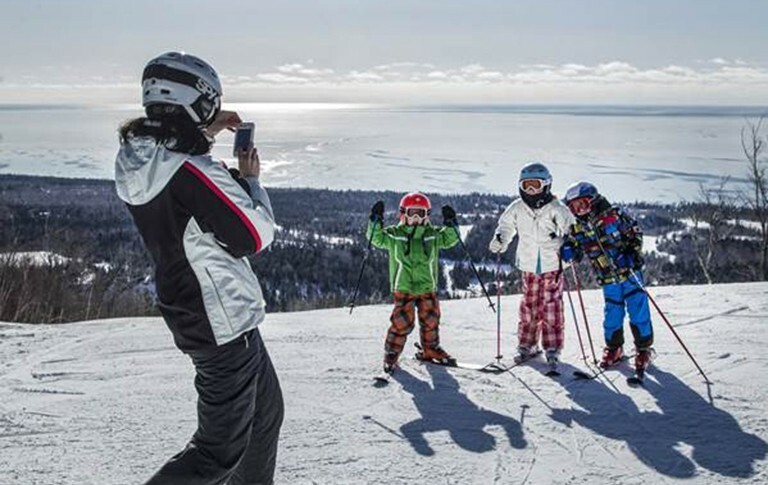 Easter weekend there’s half-price lodging, discounted extended weekend lift tickets and free ski rental for the entire family on three-day packages. 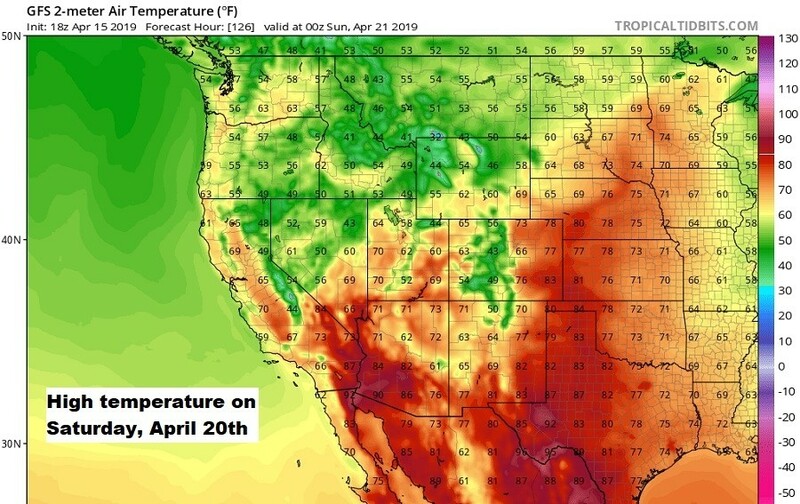 Here comes the warmer weather. We’re highlighting the best days to enjoy comfortable, spring skiing/riding plus where last-minute snow is going to fall! Plenty of snow remains on the ground across western Canada and the U.S. for you to enjoy through the third weekend of April. Go, get out and enjoy the fun festivities some of our resorts host this time of the year. 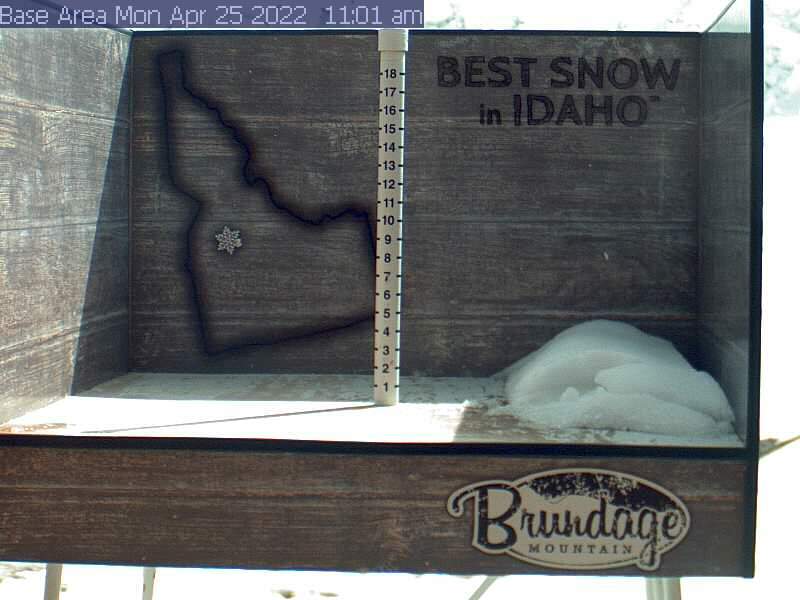 In terms of new snow, we will be able to squeeze out some. 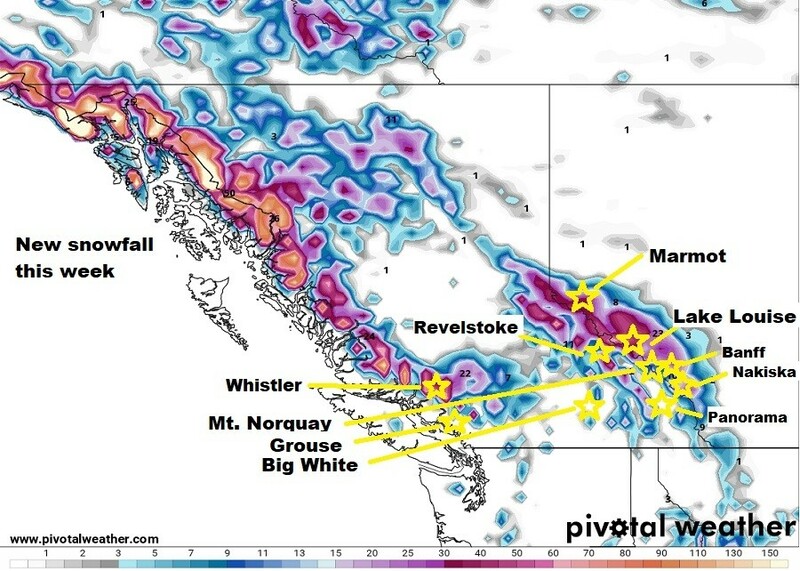 British Columbia and Alberta appear to be in best position for greatest snowfall. 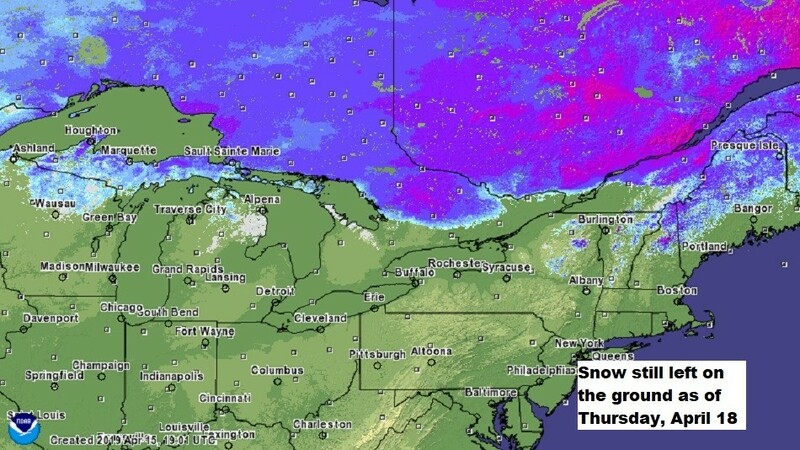 This new snow will fall Thursday and Friday. 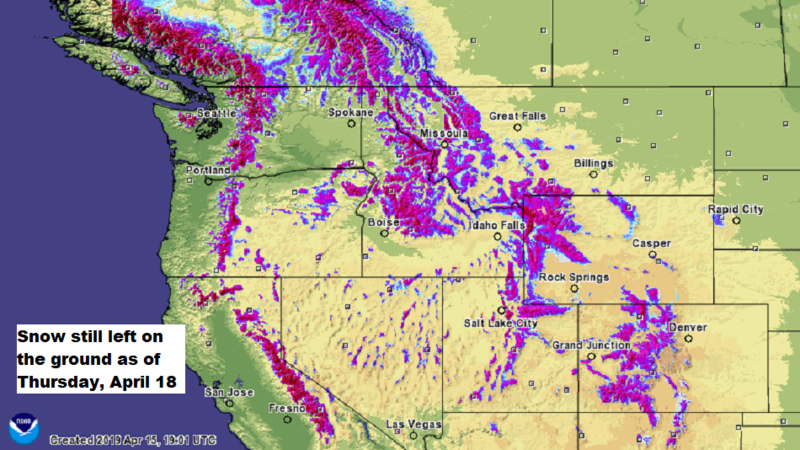 The same storm will cross the U.S. Rockies Saturday-Sunday. A cold front will bring some colder weather and windier conditions to the Rockies this weekend. 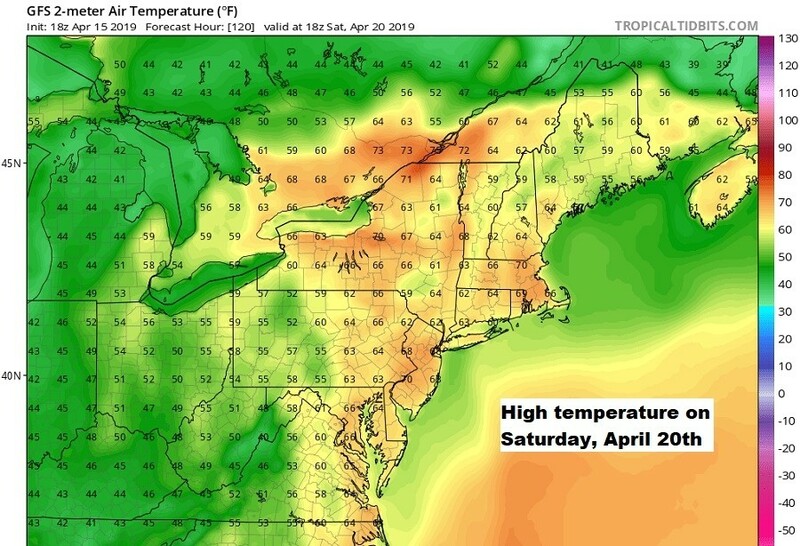 If you like warm, spring conditions then Thursday and Friday are your best days to get out. 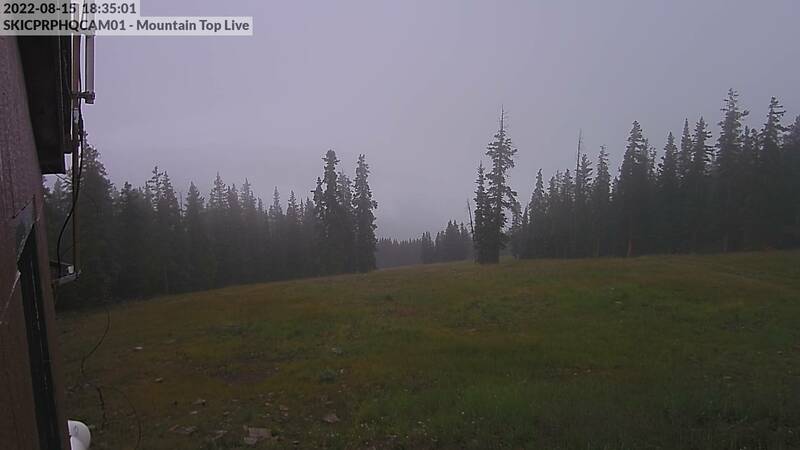 Persistent, cloudier/wetter conditions remain through Tuesday for western Canada. This week we love Lake Louise, Whistler, and Marmot. 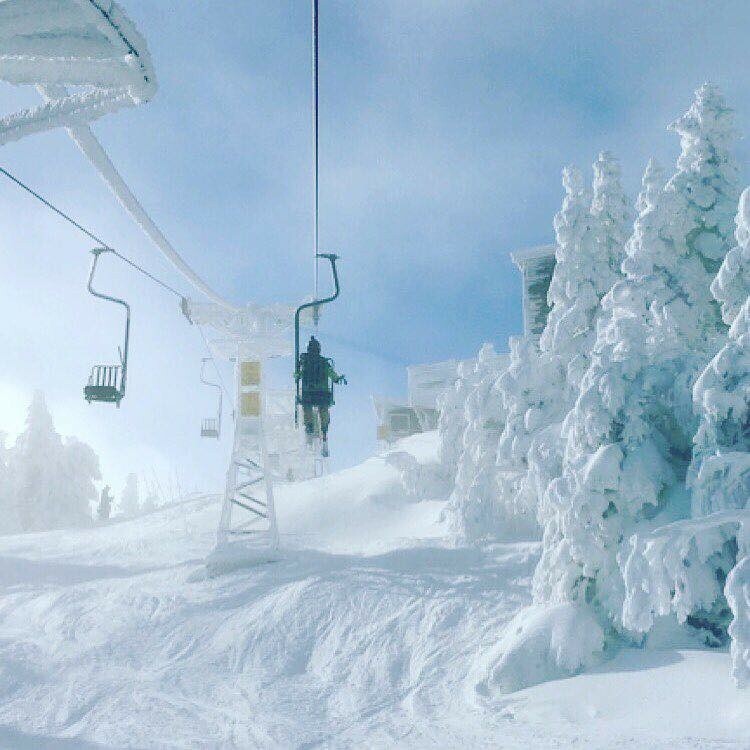 There are still a handful of resorts open across the Midwest, plus a second handful of resorts still open in the Northeast! You’ll get some snow on the order of 2-4” Thursday, then warmer weather into the weekend. Frankly, there’s not much new snow left in the gas tank this week. Thus, we’ll highlight Friday and Saturday which will be warm, very windy days. Scattered rain showers will move through this weekend, then another round Tuesday-Wednesday. 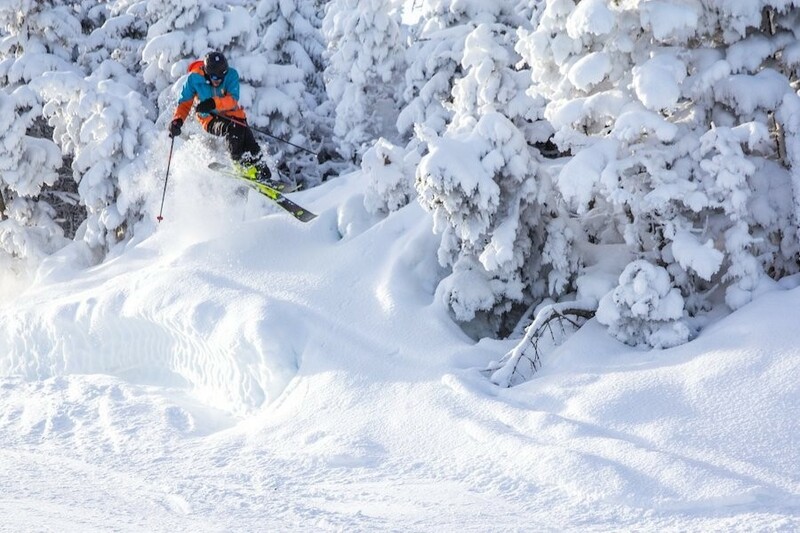 This week we love Sugarloaf, Sunday River, Wildcat and Tremblant. Until next week! 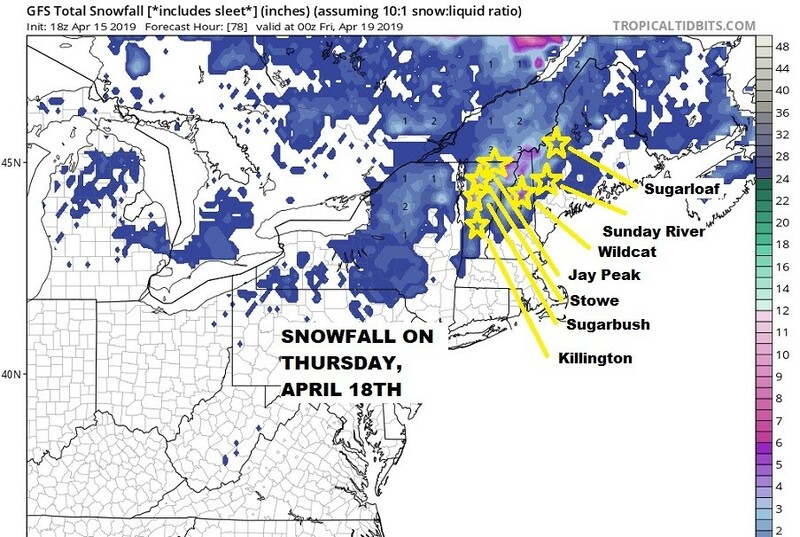 Thanks to Northern Vermont University – Lyndon meteorology students James Mundy and Francis Tarasiewicz for contributions to this article. 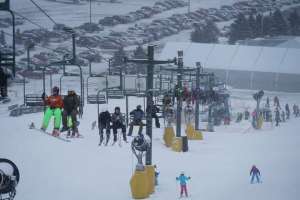 Bryce Resort , VA Closed for Snow Sports 0"
Massanutten Resort , VA Closed for Snow Sports 0"
Wintergreen Resort , VA Closed for Snow Sports 0"
The Omni Homestead , VA Closed for Snow Sports 0"